MTV India-What are you doing? Launched on 28 October 1996, MTV was widely known for it’s shows and music. Music has always been distinctively recognised and acknowledged with respect to India, thus making MTV a huge success. But gone are those days when MTV India was known for the popular genres of music they played. Now it’s all about reality and dating shows. Roadies and Splitsvilla are just reinforcing the entire stereotype. It’s not about making shows that make sense anymore. It’s all about creating clichè television shows that give more importance to relationships and scripted reality shows that are nothing but preachy. MTV has converted it’s format of providing a stage for new and upcoming artists to showcase their musical talents. With shows like Splitsvilla and Roadies doing so well, one wonders if this is all a hoax and has no purpose but increasing the channels TRP and popularity. 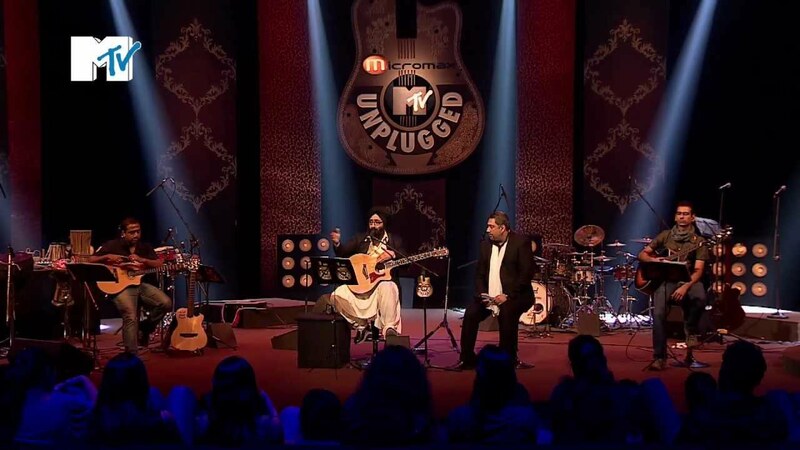 But MTV India has contributed to music and other factors in several ways, and we hope you’ve enjoyed some of these! If you haven’t, go, now! Coke Studio India, officially titled Coke Studio @ MTV, is an Indian television series inspired by Coke Studio (Pakistan). Several seasons have been released from 2008-2014. Coke Studio combines myriad musical influences, from Hindustani, Carnatic and Indian Folk to contemporary hip hop, rock and pop music. Coke Studio is one of MTV’s most incredible creations and attracts viewers from all over the world. MTV Unplugged is a TV series showcasing popular musical artists usually playing acoustic instruments and creating live renditions of popular songs.The songs featured on the show are mostly officially released earlier by the artists. One of MTV’s most popular shows, this one is a delight to the eyes and ears! 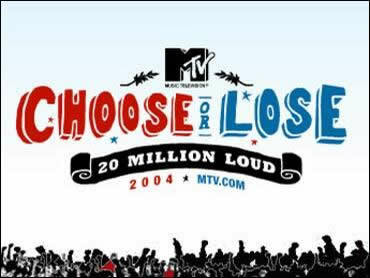 MTV contributed politically and socially to society by instilling the importance of voting rights for the youth today through ‘Fight for your Right’ and ‘Choose or Loose’. The shows were popular and are known for its contribution on political grounds. 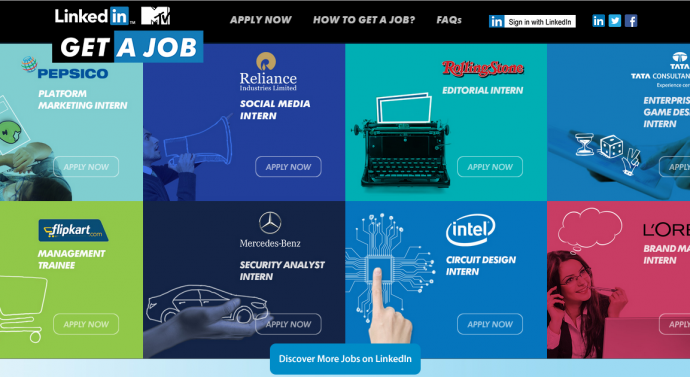 In association with LinkedIn, MTV brings all young aspirants an opportunity to work for their dream companies! In the show, there are twelve jobs up for grabs and they’re looking for the one who can earn their place!